Flowers and Lace WIP, Organizing Update, and OMG! The flowers are coming along nicely. I expect to finish the leaves in my next update, and maybe whatever flowers (they look like cherry blossoms in the pattern) I miss following that? I started making more loopstarts which have been super convenient for confetti stitches and for when only one strand would suffice for the last stitches of a certain color. So, Leticia suggested these folders (thanks girl!) 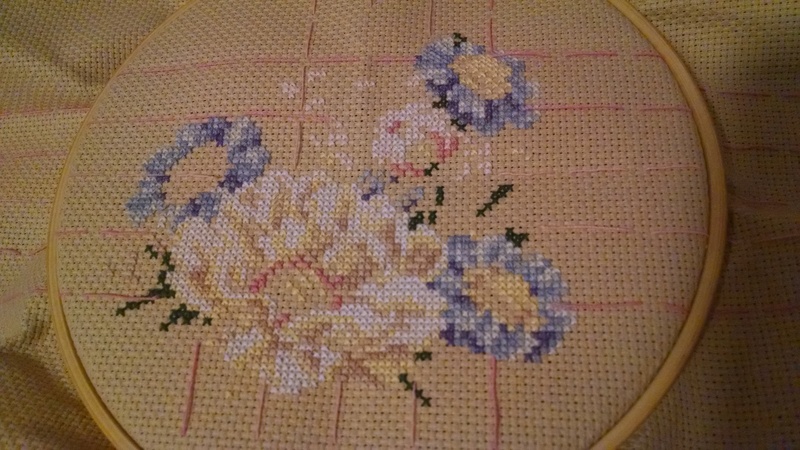 from Hobby Lobby around the time I was first reorganizing my cross-stitch projects and they’ve been wonderful. They’re originally for scrapbooking. Definitely find coupons for the store if you plan on getting these folders too! 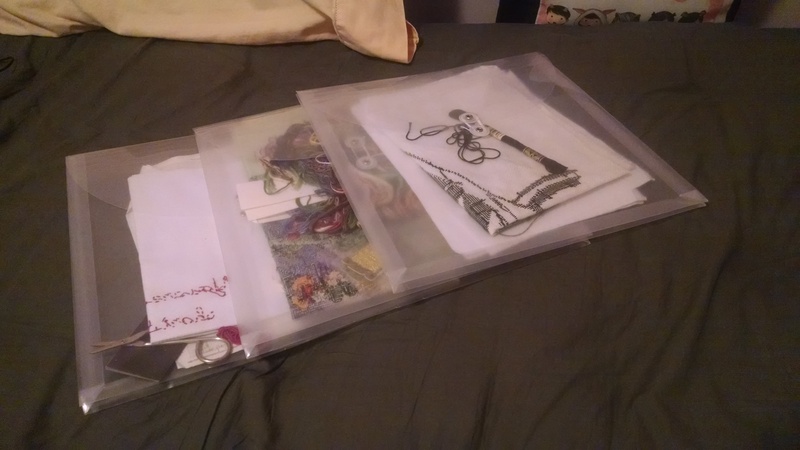 The folders take up very little room and keep my projects neatly separated and organized. And I found my “Good Fortune” FO from forever ago! 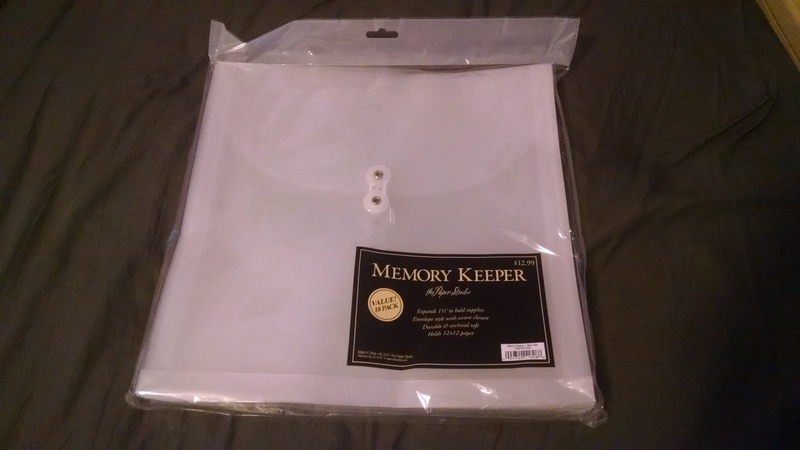 After spending so much time looking for this project and giving up, it popped up when I was reorganizing/decluttering my room. I’d like to end this post by giving a shout out to Eric, who recently followed me over on my other blog about eczema. He made a pretty awesome post for people to comment with a brief description of their blog and to help bloggers discover other people’s blogs. The post is a cool idea to connect people over WordPress, so kudos Eric! Thank you Johanna! I couldn’t have thought of a better way for storing the projects without Leticia! Wow it took me a long time to see this, but I’m glad you found them! Hope they’re working out for your projects! 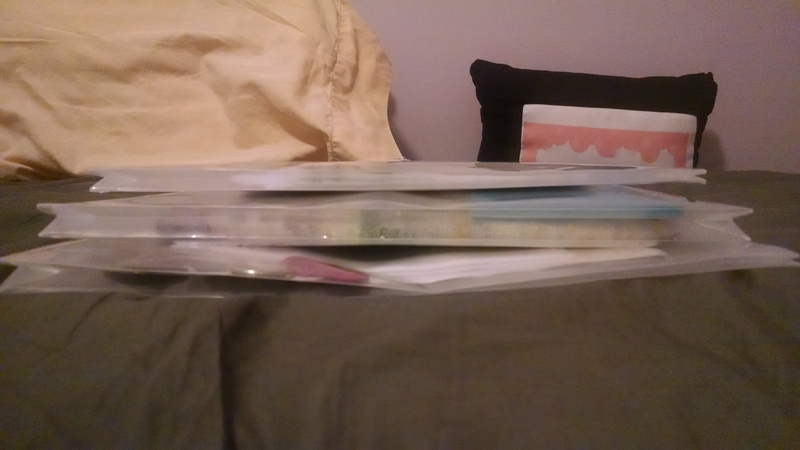 I might need those folders too. It can only be bought at Hobby Lobby?